Our exclusive services to our customers include comfortable accommodation solutions. Contact us and let us know your budget and preferences, we will find you the best places with necessary facilities and requirements. Have no rest over accommodation during the stay…we will take care of it. After touring in Sri Lanka, if you need more of beaches and tropicality, we can organize Maldives island packages for you. We are prepared to reserve the best accommodation options for economical rates. “Ya tours” offers the service of airport pick up and transportation to any destination during your stay in Sri Lanka. All you need to do is letting us know the number of people that join the tour and the preferred vehicle beforehand. 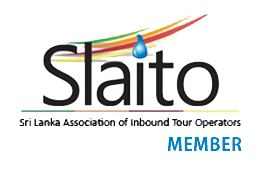 Our rate is 18/- U S $ for the airport pick up & the transfer up to Colombo / Mount Lavinia & suburb. By air-condition car. You can rent a car during your stay in Sri Lanka. We have a fleet of vehicles for you to choose from. Per day 25/- US$ + + Limit of 100 kilometres the car will be fully automatic or manual. If you are not comfortable with the idea of driving in another country, just let us know, we are ready to provide a driver with the car with fuel. Our chauffeurs are English speaking and have drivers’ subsistence and insurance.